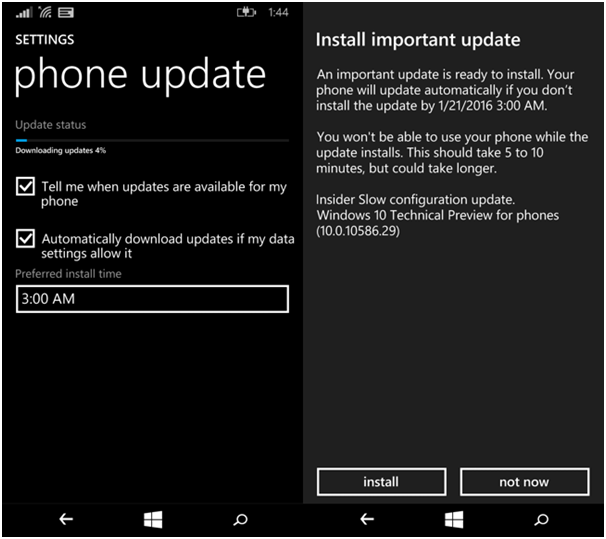 Microsoft has started rolling updates for the Windows phones which qualifies for the Windows 10 OS version. If your phone is qualified for the Windows 10 upgrade then you will find an upgrade option in the settings. One thing should be noted that upgrade process is bit difficult and Microsoft has itself issued an advisory which states that the process isn’t designed for the average users and even after the upgrade you might not get a stable OS experience. Here is the right and smart way to upgrade your Windows phone to Windows 10. 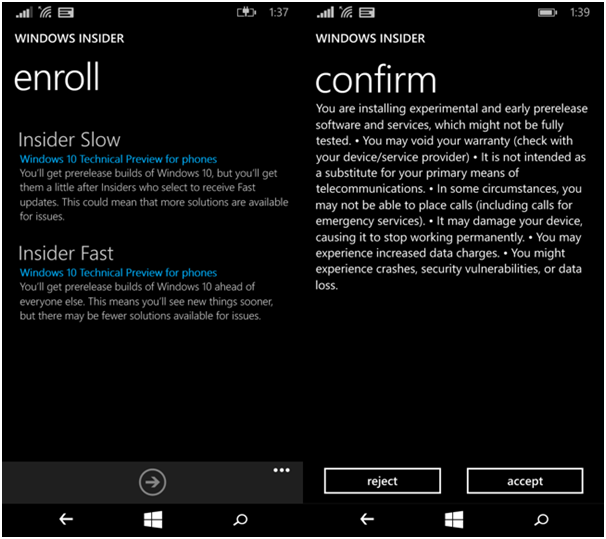 First you have to check whether your phone support the Windows Insider Preview program and the Windows 10 OS or not. Microsoft has also provided a list of phones which supports the the preview program for Windows 10 OS. Among non-Lumia devices, HTC One M8 and LG Lancet supports the Windows 10. 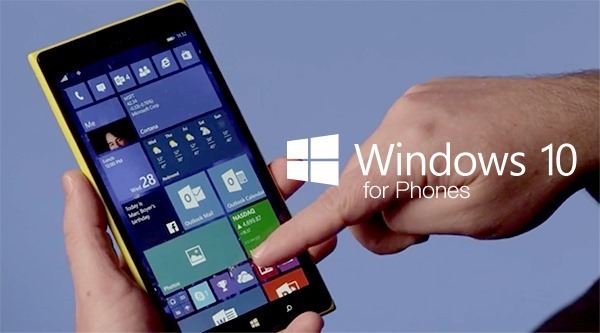 The criteria for phones to support Windows 10 are set at having 8 GB of storage and Windows 8.1 OS. Users can install the ‘Upgrade Advisor’ app on their Windows phone to check whether it is eligible for the upgrade to Windows 10. 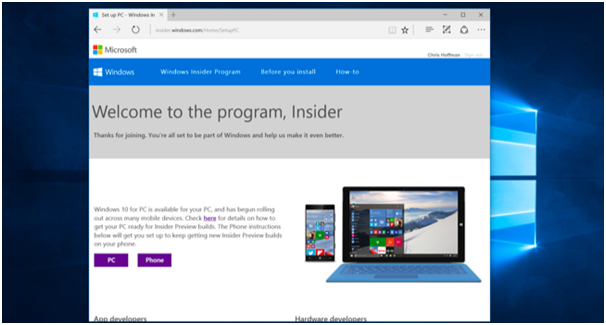 In order to install Windows 10 you will required to be part of the Windows Insider Program. Go the Microsoft’s Windows Insider website and sign in with your Microsoft account to join the program. 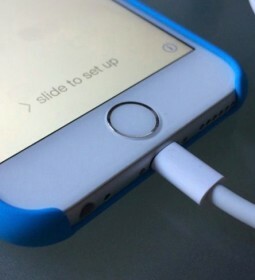 Connect your phone to a WiFi network before containing further as a large amount of data has to be downloaded for the OS update. 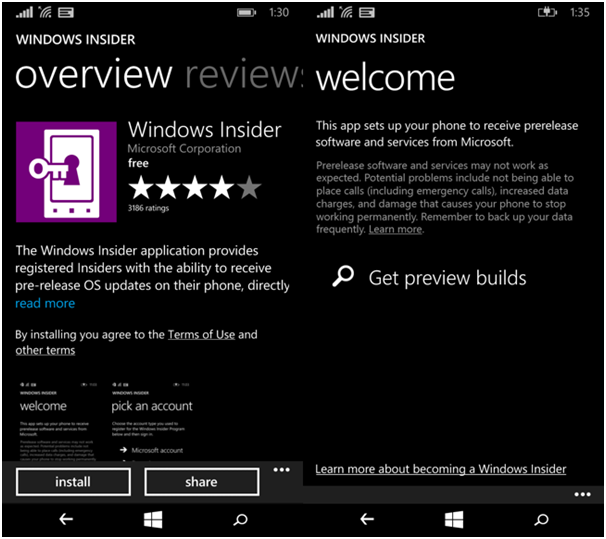 In order to get started open the Store in phone and search for the ‘Windows Insider’ app and install it. Once this app is installed, open it and tap on the ‘Get Preview Builds’. This will guide you through the process of downloading the Windows 10 on the phone and updating it in the right fashion. It is better to opt for the ‘Insider Slow’ builds as it offers more stable builds of Windows 10. Choosing the ‘Insider Fast’ will help in getting latest build filled with new features but they are unstable in nature. Microsoft will ask you give a tap on ‘Accept’ after which phone will reboot. Now will start installing the updates and you can check the updates being downloaded by the phone through going to the Settings followed by Phone Update and Update+Backup. 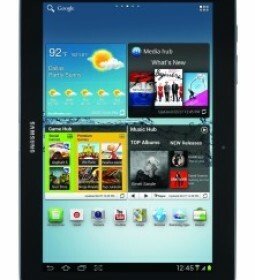 Once downloading is completed you will be asked to install the updates which will take few minutes. When all’s done your phone will reboot with Windows 10 Mobile. 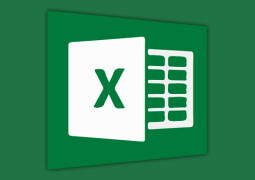 Microsoft offers a range of newer builds over the time which you keep updating on your device. If you wish to leave the program then re-download the Windows insider app in your phone. Open the app give a click on ‘elipsis menu’ and select the ‘Leave Program’ this will ensure that you don’t get build updates in future.